It’s been a long winter with a lot of snow and great skiing, which, while it may not excuse my lack of updates on this blog, certainly explains it. I’ve been working solidly over the past four months for a variety of clients. While much of the work is still confidential at this point, I’ve had some fun designing a number of posters for some events over the winter. 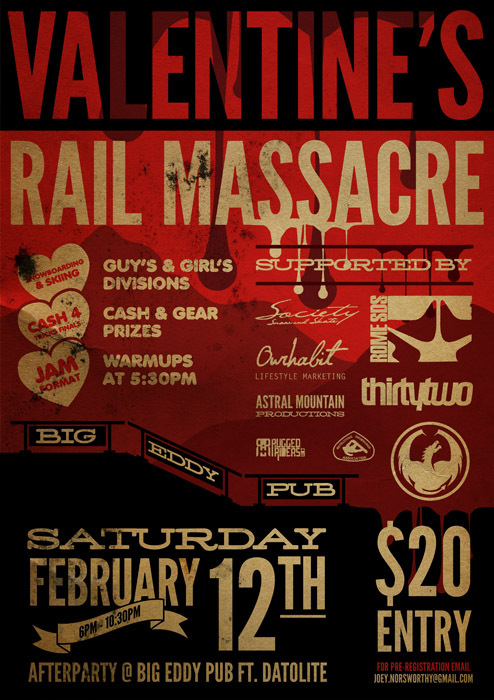 Ourhabit, run by Joey Norsworthy, has organised and sponsored a series of three rail jams in town at the Big Eddy Pub during the last three months. I’ve produced the posters for the jams, as well as a poster for a charity event organised by Brittany Clark, supporting breast cancer awareness and research. You can check out the posters below. They were an interesting exercise in cramming in as much essential information as I was instructed to fit (apart from the video premier poster), while still maintaining readability and making the final product eye-catching. You can view the posters in my portfolio or read on to check them out. 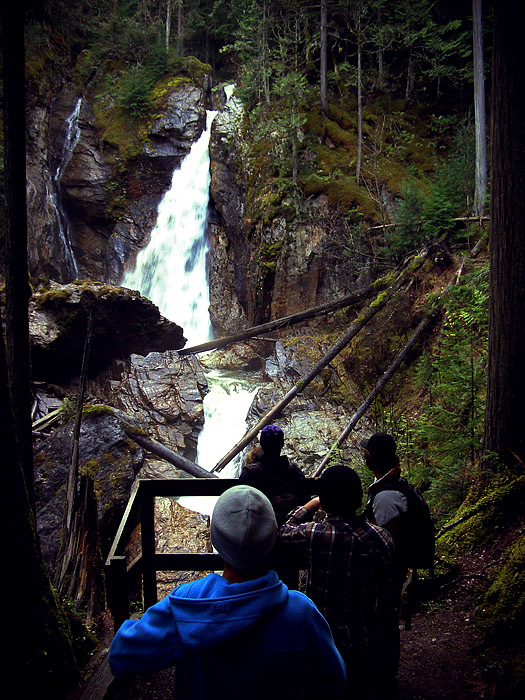 It’s hard to do justice to Revelstoke with photos, but I got a few shots on a hike at Begbie Falls recently which I’m quite happy with. We parked up by the road and hiking in for 30 minutes, found another trail and explored that until it petered off, then got lost on some bike trails and made it back to the car just before dark. I’m looking forward to buying a mountain bike for next summer, because it looks like there’s some great riding to be had. 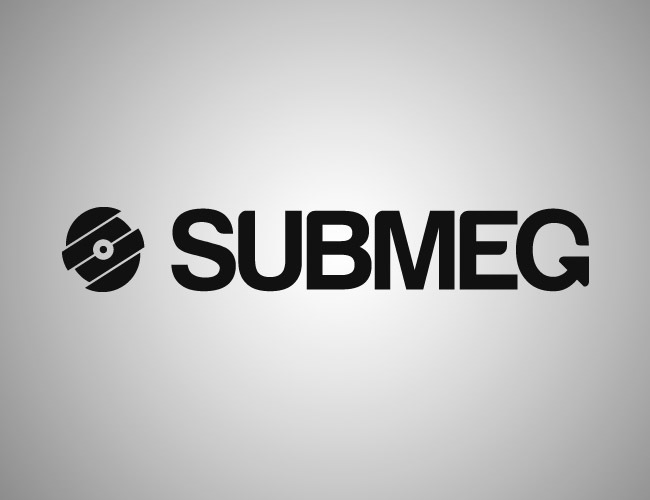 I recently completed an identity and business card project for DJ Submeg, a friend and previous colleague who is starting a party DJ business. It was fun developing a theme for his business, and I look forward to hearing his promo mixes. I’ve included a few images from the project below, including some unused concepts. The form of the logo is based on the four pillars of Hip-hop culture: MCing, DJing b-boying and graffiti writing. The form is of a vinyl record synonymous with turntablism separated into four segments to represent each of these pillars, as well as to create a stylised S and M when rotated a few degrees in either direction. The G in Submeg is stylised as an arrow to create further mental associations with turntablism and graffiti writing. 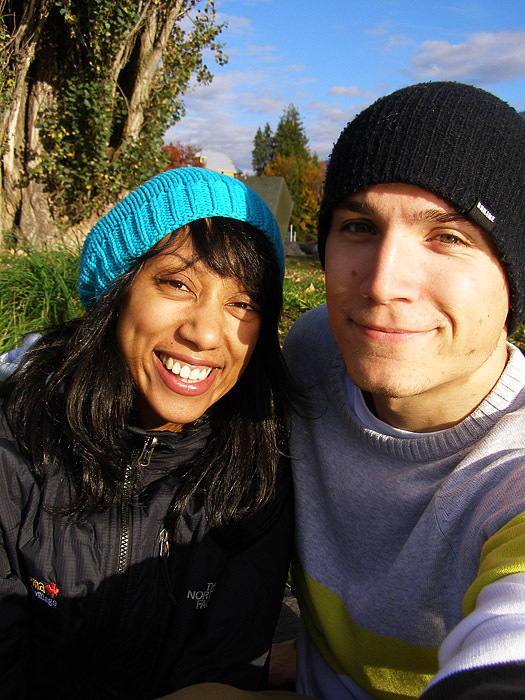 After three months in Vancouver, we decided that we’d had enough of city living, and it was time to move to the mountains again. A few frantic weeks of running around, arranging future accommodation, packing and giving notice culminated in an early move to a friend’s place for a couple of nights of couch sleeping due to circumstances beyond our control. It made the move a little more stressful than it could have been, but sitting here in a beautiful suite in Revelstoke, it’s safe to say that it was all worth it. The move was via Greyhound; after $133 in extra baggage (it’s amazing how much you can accumulate in three months) the only bump in the road was a woman with some kind of volatile tourette’s syndrome sitting behind us for two hours of the nine hour journey.